Hello orange hat and DIY necklace! 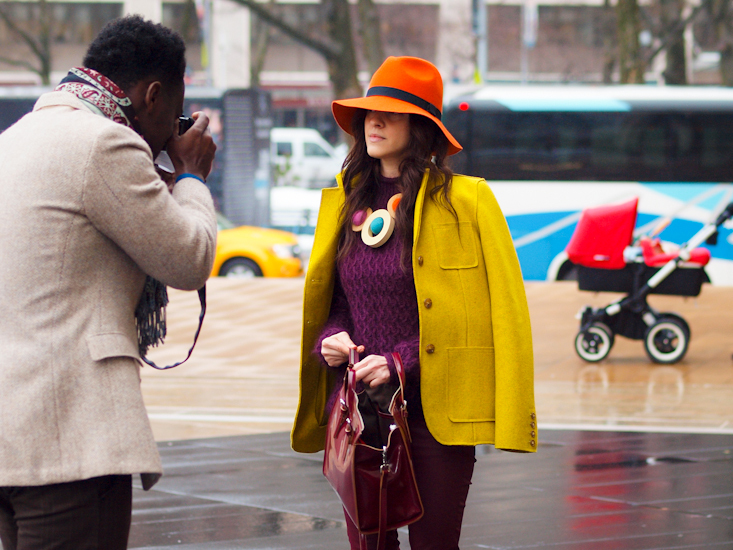 Two bold accessories that I wore while I was visiting Polyvore's office (another favorite moment from this NYFW trip). 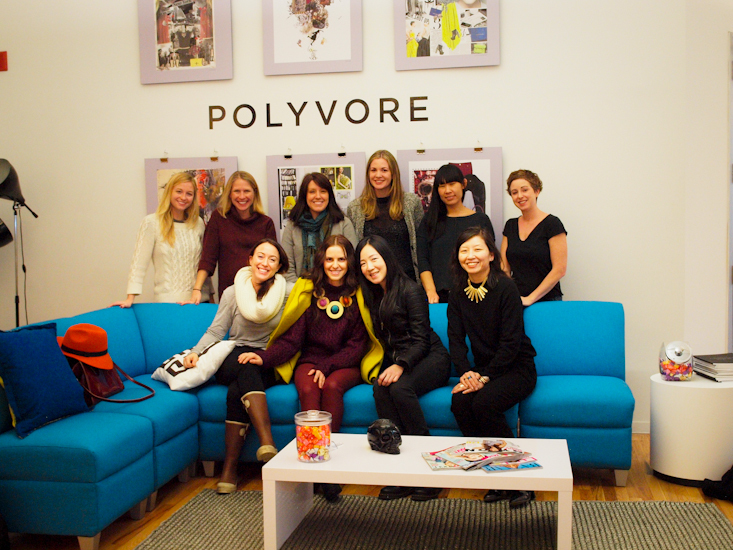 I'm so happy that I finally had the chance to meet this great team that are behind our great Polyvore community. The day continued with Hernan Lander and La Quan Smith presentation, two great collections that have in common one element that seems everybody love to use it in the F/W season: LEATHER and the result was PERFECT! Great use of colors! 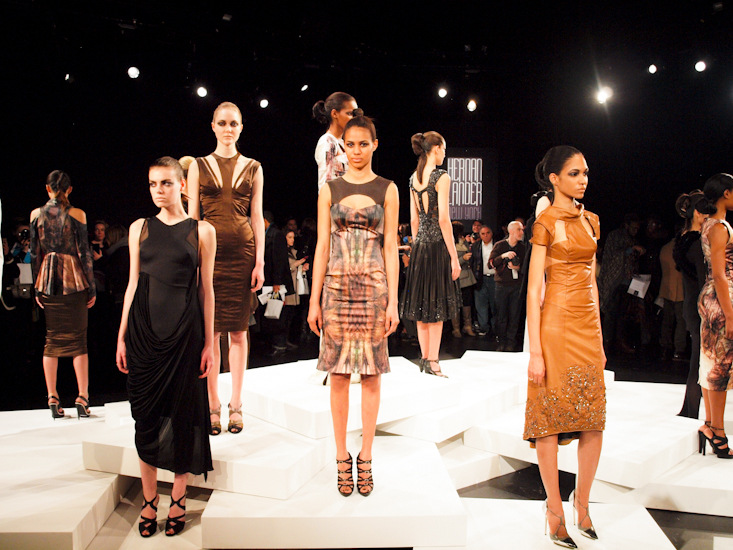 You probably stood out amongst all the other black wearing New Yorkers! great post! you look very beautiful! Que colorido y que alegria de look que llevas. head to toe perfect like usual darling !! I love what you wore. That orange hat is such a stand-out and your DIY necklace is so unique! That coat is simply fabulous! Wonderful dress and what colors, yellow and orange, very nice! Love this colour palette Veronica! So stunning. All your outfit snaps from NYFW were perfection.